This great bath bench is adjustable in height from 14" to 18", and is rated to 600 lbs. 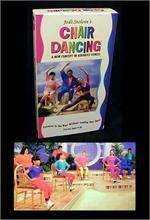 It has a comfortable molded plastic seat and reinforced legs. The seat measures about 20" wide by 12" deep, but a wider person can sit on it comfortably. The footprint (spacing of the rubber feet) is approximately 18" wide x 17" deep. Made in USA. 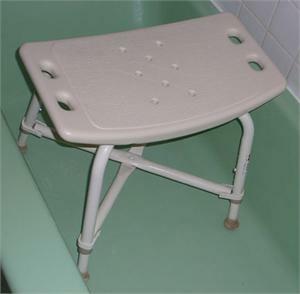 With frequent use, with age, and depending upon the weight of the people using the bath bench, the rubber feet can eventually wear out. We carry replacements. They are white, and come with a stainless-steel washer insert to make the foot last longer. Usually, it is best to replace all four feet at the same time. Order four if you want to replace all the feet. Simply select "Rubber Foot for Bath Benches" from the Product Options menu above. This is a premium bench, but some assembly by the customer is required. 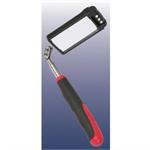 Two small wrenches and a phillips screwdriver are included. Due to the reduction in the size of the carton that this makes possible, the bench can now be shipped by air, if necessary.